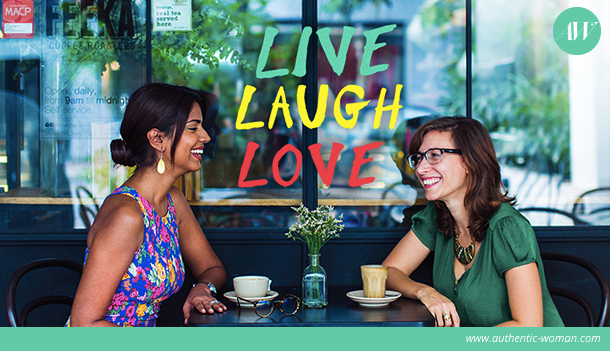 Authentic Woman is a growing collection of honest conversations on anything and everything related to our everyday lives – spoken and discussed from the perspectives of best friends Marina Condo and Veena Sidhu. They share their musings, joys, obstacles, passions and trials – straight from the heart and right through the soul. Checkout the blog for weekly articles by Veena and Marina spanning life categories like Beauty, Health, Living, Relationships and Soul. You can also check them out on Facebook for regular updates and daily Power Words for inspiration and also follow them on Instagram. Authentic Woman represents a place for those in any space of their lives, to learn from and share thoughts on any topic put forth; a community of like-minded souls searching for the same ultimate goal – to attain inner peace, good health and happy relationships – while having a lot of laughter and love along the way! Hailing from Argentina and Malaysia respectively, Marina and Veena met in 2010 in Kuala Lumpur, Malaysia and became fast friends through their love for anything chocolate, straight up “call it like it is” jokes, and looking at life through the lens of childlike wonder and enthusiasm. Both working for the Mindvalley Group of Companies, they sat next to each other at work for two years with Marina as copywriter and Head of the Marketing Team for Mindvalley Hispano and Veena as Senior Partner for Mindvalley Inc. In 2012, Marina (today a mother of two beautiful boys) and her husband moved back to Argentina with Mindvalley Hispano and also to start a family – but that didn’t hinder a friendship that just grew stronger through regular Whatsapp Audio Notes, Skype chats that last too long (but are oh-so-nourishing for the soul!) and the occasional holiday for real-life fun with Prosecco in hand. It was through their honest take on life and exchange of life tools to help them find soul peace and to always try to be their highest authentic selves while balancing career, making their marriages work, and raising families, that they decided to share their thoughts through this blog with like-minded women for support through a community on open dialog and a supply of hacks for happier lives.